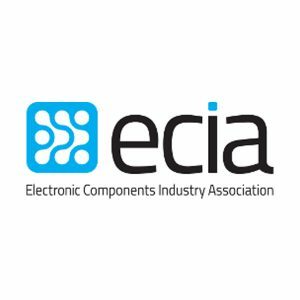 Atlanta, GA – ECIA members in the Boston area were out in full force last week for two presentations on issues that are top of mind for the electronic components industry: What Blockchain means to component industry (answer: more hardware = more ASICs) and Sales Performance. ECIA’s CEO Bill Bradford presented on the Drivers of Sales Performance: An Evidence Based Approach and Randy Lawson, IHS Markit presented “Blockchain and Semiconductors: Quantifying the opportunity.” With a projected 10 billion more devices connecting to the Internet in the next four years, it’s more important than ever before to verify and trust the complex relationships between devices and the services they enable. Blockchain is seeing increased adoption across a number of industries. In addition to Bill Bradford’s presentation on sales performance, ECIA Senior Vice President Victor Meijers discussed two initiatives launched by ECIA in the past few months: the global expansion of the organization and the ongoing rollout of the Global Industry Practices Council, led by Don Elario. Boston Regional Series presentations can be accessed by clicking here. “Interest in blockchain has accelerated among our members and Randy gave us some background about the increase in demand for components to accommodate the various use cases,” commented Bill Bradford. “As ECIA’s new CEO, I was grateful to be able to connect and engage with the local community in Boston, and get to know members, which is one of my most important first-year goals,” he continued. “There’s no better way to understand the specific concerns and opportunities of the regional members than to attend one of the Regional Series Events. Next destination is Dallas,” he concluded. Thank you to our 2018 Sponsors: Avnet, Digi-Key Electronics, ebm-papst, and the TTI Family of Companies: TTI Inc, Mouser Electronics, Sager Electronics, and Symmetry Electronics. Julie Carr and John Hutson, MacInnis Company; Paul Dosser, Digi-Key Electronics; Todd McAtee, Mouser Electronics; Dave Norris, Norris and Associates; Craig Sanderson, Sager Electronics; and Mark Shiring, ebmpapst.